I have been thinking lately how much I love my girlfriends. Of course, I have always loved them so this must be some new deepening in my sense of appreciation but nonetheless, there it is. So when I recently read a new study (1) published in the Proceedings of the National Academy of Sciences of the United States of America regarding the importance of relationships in our overall health and wellbeing, I began to contemplate all the ways my girlfriends have impacted my own health. The study I read used data from four surveys of the population of the United States covering adolescence through old age. The authors studied the associations between social relationships and several markers for health: blood pressure, waist circumference, body mass index, and systemic inflammation (via a blood tests called C-reactive protein). They found that in both adolescence and late adulthood, social isolation increases risk of inflammation by the same amount as physical inactivity. In old age, social isolation was more harmful to health than diabetes when it comes to developing and controlling high blood pressure. In middle adulthood, they found that the quality, not the quantity of relationships matters most. Basically this means that the more relationships you have in youth and old age, the better. And in mid-life, the deeper the relationships, the better. But my own personal reflection after reading the study is that girls and women must be hardwired in some way from the get-go to know this. I can’t imagine the impoverishment my life would have suffered without my girlfriends; on all levels including emotional, physical and spiritual. And I don’t believe I am unusual in that. Girls and women are generally very skilled and experienced at having girlfriends. Of course I haven’t tracked my own blood tests to correlate results to the glories of my girlfriends (though come to think of it I could probably do that in retrospect), but I want to use this excuse to review the wonders of the stupendous women I get to call friends and think about all the ways they have healed me, helped me, seen me, loved me and let me love them. (Their names have been preserved here to honor their brilliance). *Also, this is a good place to skip ahead if you’d rather not read about all the nitty gritty-ness of girlfriends; you can skip to the end and read the “up-shot” of it all. Shelly and I met in high school. We were both cheerleaders for the wrestling squad. She was beautiful and popular and was dating one of the wrestlers. What I remember most from that time is how much we laughed together; the laughed-until-we-cried kind of laughter. 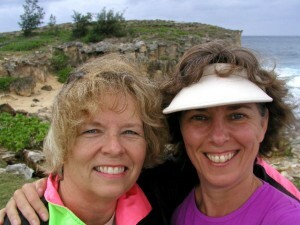 We worried about boys and we talked about girls and generally shared every bit of our lives. She was a big part of how I survived high school. Shelly and her wrestler boyfriend (Kent) got married right after high school and soon after welcomed their first baby. I was so honored and thrilled when they asked me to be his godmother. (That baby is shockingly turning 40 this year but I still love him anyway). I had moved away from our hometown by this time, but distance and time are not necessarily impediments to friendship. We have shared joys and sorrows alike across the miles and the decades. Shelly’s Mom and my Mom both died young; it’s hard to put in words how much sharing that pain saved me. Shelly had two more children and adopted a third and what great joys they all were to me through their childhoods. I went through a series of miscarriages that broke my heart over and over but being included in the lives of Shelly’s children was a balm. Oh! I can see I cannot possibly do justice to 45 years of friendship in 300 words or less. Shelly is so smart and so strong and so kind. She has run a farm and a daycare in our hometown community for all these years and several generations of children have been so fortunate to have her. My secret belief has always been that Shelly’s skills would have been more than sufficient to run a Fortune 100 company as its CEO. Our lives’ journeys have included laughter and play time, the making of countless meals, weddings, baptisms, death, mayhem, watching the wrath of addictions, grandchildren, health struggles and cancer treatments, many, many beautiful days beside the lake, the births and deaths of our beloved dog children, and even a trip to Hawaii. We don’t get to see each other in person often but when we do it truly seems like we had just returned from the other room and began our conversation where we had just left it a few minutes before. I love her so and can’t imagine my life without her. Annie I met in graduate school. After our first class of the program, on one hot August night in Las Cruces, New Mexico, we stood outside the school building for several hours. I remember it still so clearly and the feeling that I couldn’t tear myself away from her and everything I wanted to know about her and everything I wanted to share with her. That August night was in 1979. And I swear to God, we still talk for hours at a time with that very same feeling that we can’t possibly say everything that needs saying in the allotted time. Annie grew up in Los Angeles; I grew up in the middle of the country first on an Iowa farm and then in the back woods of northern Minnesota. How do we possibly have so much to say to each other?? And how lucky are we that we do! During the four years that we lived in the same town, we took turns cooking Saturday night meals for ourselves and our boyfriends. Annie has an innate skillset for hostess-ing and gave great parities. I was mesmerized and learned so, so much from her. Also in those four years, we managed to complete Master’s degrees, survive the ups and downs of early relationships with our boyfriends, and support each other through things like Annie’s wedding in Mexico City, my emergency appendectomy, a horrible car crash that left Annie’s husband, German seriously injured, and finally the home birth of their first child, which I somehow miraculously managed to attend even though I was living in another state by then. As we both set sail for far-away places, for many years before affordable telephone rates and then the internet, it meant we wrote letters. I mean we wrote 10-20 page letters. Annie was living in Puebla, Mexico and I was in Colorado for many of these years, but still somehow we managed to see each other and keep our lives intimately connected. We have witnessed all manner of each other’s stories, wiping away tears, encouraging dreams, at one point I performed her wedding ceremony to her second husband, and at another point, she actually saved my life. Her children are as dear to my heart as she is. I can’t see how I could have possibly lived through my own life’s sorrows without her or how I could possibly have achieved the things I have or enjoyed life half as much as I have without her. I love her so and can’t imagine my life without her. Susan was my boss before she was my girlfriend, and in that sense, I owe her a very special debt of gratitude. In 1982, she was the first person to hire me as a professional writer and she was the first person to show me my own skills as a writer. Susan was a PhD-holding, mature professional woman when I met her and she introduced me to a world I didn’t know existed. How I loved the conversations we had soaring into the heavens of intellectual discourse. It fed me in the exact same way my own Mother’s home cooking fed me; deeply nurturing and life-saving. She loaned me the money so I could attend my first professional meeting where I had a paper accepted for presentation. For that matter, she was the one who helped me get that paper accepted for presentation. And from that meeting came my first job offers as a professional writer. What a generous woman she is! I only worked for her for 18 months, but our friendship perseveres for all these years. We attended many professional meetings together after that first one. I hired her to teach and consult at the company where I was working. And after I completed my first PhD, she hired me to teach and consult at Los Alamos National Lab where she was working as the Director of Professional Communication. But always it was the thought provoking encouragement and sharing that kept me so eager for her company. She has been a role model to me in so many ways; as a strong, independent woman, as a teacher, as a hostess, as a kind friend, as a widow bearing up through untold sorrow. She attended my Croning ceremony in 2007 and whispered her words of wisdom to me along with my other dear girlfriends. 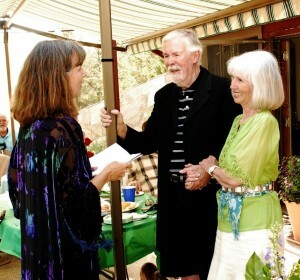 I performed a wedding ceremony for her and her third husband. And now I hold her in my heart as she has become a widow again. I love her so and can’t imagine my life without her. Pat and I met in 1983 at work. She was managing an editorial group and I was a writer. She was newly widowed and I was newly married. 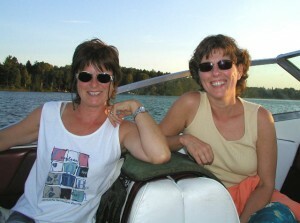 It doesn’t seem like we would have had much in common but we hit it off and stayed friends until her death last Fall. I left that job in 1994 and Pat had left the company several years earlier but it wasn’t the job that kept us together. We did work together in our own technical writing consulting company for a period of time, but mostly we played together. We hiked and we read tarot and we cooked meals together and shared the holidays and we celebrated birthdays and encouraged each other as we both moved into new professions. I held her hand after her baby died at just 2 days old. She spoke at my Mother’s funeral in 1988 and at my Father’s funeral in 2012. She showed me how to be a deeply thoughtful friend, sending cards when I was under the weather or suffering a loss or completing a goal. I took care of her doggy when she travelled. She dropped what she was doing to help me with my sick granddaughters when I also became sick. We grew together spiritually, which was a great joy and comfort. And not easy to do. I am proud of us for that. She deepened into her Buddhist practice and trained as a yoga instructor and meditation teacher. I studied and was ordained as an interfaith minister. But always together we celebrated the Celtic holy days; most especially Samhain. We both knew the depths brought from the death of loved ones and for many years we met in a small local cemetery on Samhain to create the ceremony of honoring our beloved dead. And Beltaine. Pat loved Beltaine and the promises of Spring. Pat wrestled with cancer for the last 16 years of her life. And most of that time was good. She travelled, she endured painful treatments, she succeeded in many treatments, she divorced, she found love again, she lived robustly and she always, always connected with her friends. In her last year, she asked me to help her write her funeral service. And so we did. We met via skype weekly for 3 months in one of the deepest spiritual practices I have ever known. I wrote her obituary when the one she wrote seemed to me so woefully insufficient at capturing the wonder her life has been. I do not wish the experience of writing the obituary of one your dearest friends on anyone; but I wouldn’t give it up now for anything. I love her so and now I have to try to imagine life without her. I owe my friendship with Jarla to her husband Vern. I knew Vern through a professional organization and we were friends but once he started dating Jarla, all my time went to her. Sorry, Vern. I love you too, but you know; Jarla is FABULOUS! She is a fabulous, heart-centered, generous love bug! We met in the early 90’s so we’ve had nearly 25 years of glorious girlfriend-hood. Jarla is the one who taught me that if you have a good girlfriend, you likely won’t need a therapist. But so much more than that. If you have a girlfriend like Jarla you are on a path to stardust and beyond. She has introduced me to every growth enhancing, mind blowing, love expanding thought, book, video, and experience that I can handle and I thank her for all of it. And she has sat beside me when I was too weak to lift my head. And I drove her to the airport the day her Mother died. And she taught me how to listen with my whole self. And I surprised her at her surprise 70th birthday party, flying in from out of state. And she performed my Father’s funeral and then visited me often afterwards so I wouldn’t’ have to be alone. And now we bask together in the wonders of grandma-hood. And on and on. But mostly, we find a way to a spine-tingling, star-studded, mind-baffling vortex of pure possibility when we are together. It is a luscious and addictive place to be. I love her so and can’t imagine my life without her. I knew about Ann because she was a leader in our community in natural health and healing. 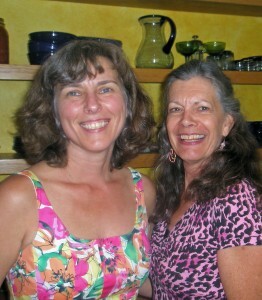 When I went back to school to become a certified nutritionist, I knew Ann was the person I wanted to apprentice with. I wrote her a long letter, essentially citing every credential of mine that I could think of and begging her to take me on. Lo and behold, she did! I sat in on every client session I could get myself to for 2 years and for that I can never re-pay her. At some point we wrote a cookbook together. We travelled to continuing education classes. 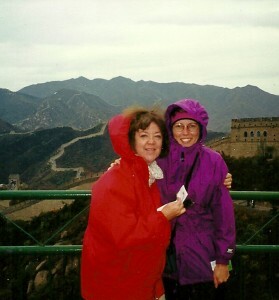 We travelled to China together. We talked and talked and talked about the nature of the human body and the nature of human experience. And before long, we became fast friends. She has guided me with my own health journeys. She has stepped in to help my sick granddaughters when I was too far away. Over the years she has given me a bibliography to challenge the Gods. And for the time she arrived at my Father’s funeral, bottle of frankincense in hand to help me through the grief; for that alone, I will love her for all time. 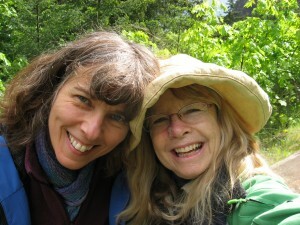 She is my teacher, mentor, spiritual guide and dear heart-friend. I pray I am able to do her proud in some small way. I love her so and can’t imagine my life without her. I can see that I could well and truly write a book about my girlfriends but for now, I have to stop somewhere. But let me also say this: Melba, Wendy, Mary Jane, Sue, Lucia, Julie, Terry, Christie, Therese, Betty, Doris, Nancy, Laura, Vivian, Beverly, Molly, Marge, Martha, Meryl, Jan, Karen, Camilla, Jody, Kim, Beth, Ann, (and please forgive me if I left out your name; you know who you are and I love you so and can’t imagine my life without you). Some have come into my life for just a season. Most have stayed in some fashion forever more. When I think about my health and wellbeing and my girlfriends, I see an obvious correlation between the two; sometimes because they literally nursed me back to health, sometimes because they uplifted me from the depths of sorrow, sometimes because they enriched the joys of everyday living, sometimes because they gave me different eyes to see an old problem, always because they were “there”. In my relationships with my girlfriends, I see a tremendous give and take; a grand witnessing, and a beautiful sharing of the journey of life. And in those things, I see me, I see us all uplifted, transformed, grown, and healed.